Thank you for your valuable info. I have been following your website for a week now. May i have more detailed prediction on Turkey as i live in Bursa/Turkey ? Seems like a devastating earthquake is not far than few months. Hi, I do Turkey regularly. How do you mean 'it seems like a devastating earthquake is not far.... How do you know or feel this is coming. Do you have other means? So far we have had Turkey, Japan and Mexico coming along. Seismologists or scientists who study earthquakes always on Turkish TV Channels these days that tell about a coming earthquake over 7R soon and some Turkish Astrologers expect it to happen before March 2017 so they make us feel it is coming so soon. I saw your prediction region of Bosphorus on 21st November has medium risk that i think it can trigger a bigger earthquake. I will be following your website i think it is like a goldmine very valuable info inside. 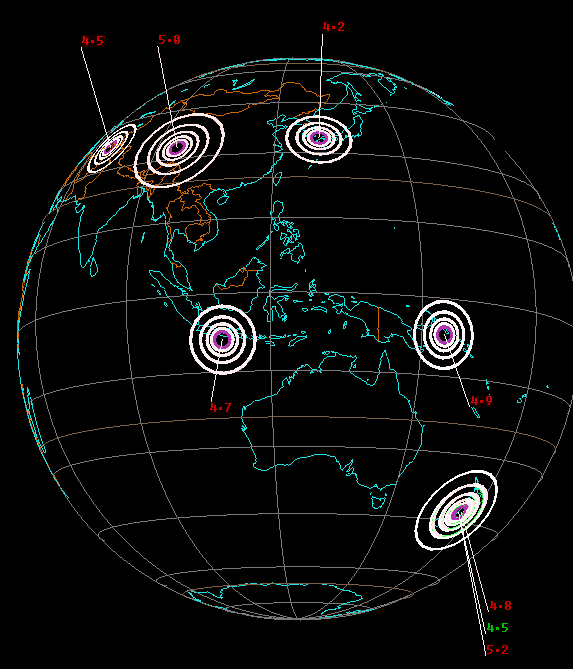 I also have started following your site since the Kaikoura earthquake last week here in NZ. I live in Christchurch NZ and have been through the two we had in 2010 and 2011..
Can you see if Christchurch is due for another at some stage. 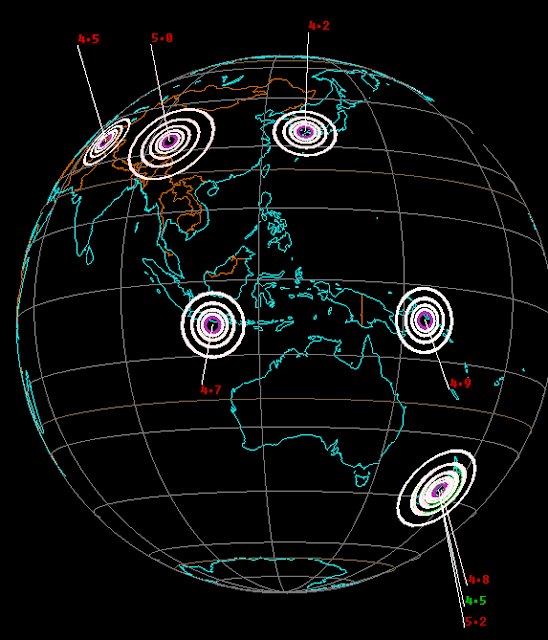 specially since last weeks large earthquake may have stressed some of our faults in Christchurch. as I dont have time right now to llok for Christchurch specifically as I have lectures to do, see also this morning's post on NZ and having seen the calendar there is a good peak tomorrow. JUST IN CASE there is a 5ver and people worry about it be a little ready for the next two days just in case a good aftershock comes to visit. Be Safe Be Good! yes you are Petra but I use GMT for timing. UTC.